Regeneration of diseased or damaged skeletal tissues is one of the challenge that needs to be solved. Although there have been many bone tissue engineering developed, scaffold-based tissue engineering complement the conventional treatment for large bone by completing biological and functional environment. Among many materials, silk fibroin (SF) is one of the favorable material for applications in bone tissue engineering scaffolding. SF is a fibrous protein mainly extracted from Bombyx mori. and spiders. 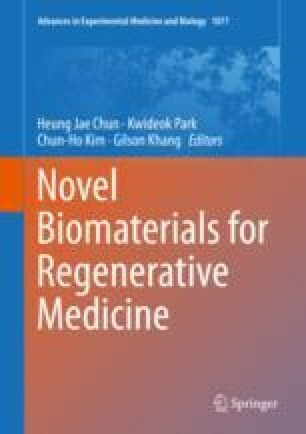 SF has been used as a biomaterial for bone graft by its unique mechanical properties, controllable biodegradation rate and high biocompatibility. Moreover, SF can be processed using conventional and advanced biofabrication methods to form various scaffold types such as sponges, mats, hydrogels and films. This review discusses about recent application and advancement of SF as a biomaterial. This research was supported by Basic Science Research Program through the National Research Foundation of Korea (NRF) funded by the Ministry of Science, ICT & Future Planning (NRF-2017R1A2B3010270) and Korea Health Technology R&D Project through the Korea Health Industry Development Institute (KHIDI), funded by the Ministry of Health &Welfare, South Korea (HI15C2996).